Wishbone was a project a long time in planning but what felt like, to an outside observer at least, an astonishingly short time in execution considering the amount of work involved. Adrian (Ade) and Emma Chapman worked many evenings and weekends turning a former and mostly derelict textile mill in Keighley, Yorkshire into the makings of a modern 10BBL brewhouse and tap room. It's a huge space at some 9000 square feet split over two floors but that, perhaps, is a statement of intent as the couple look to make their mark on Yorkshire's already vibrant brewing scene. Ade is no stranger to that scene having worked for over five years as a brewer at the nearby Saltaire brewery. 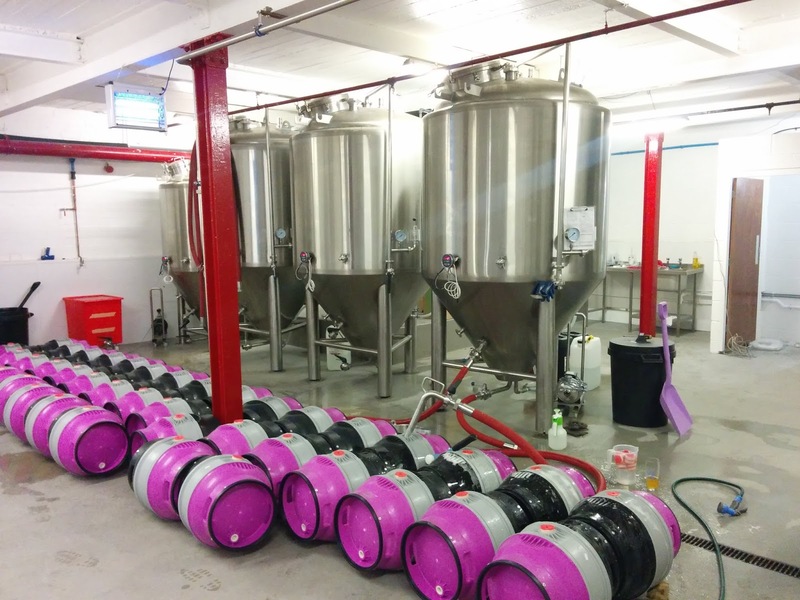 He left with the full blessing and support of his former employer and is already making his own strides into the market with casks of the first gyle having left the new brewery in mid-September. His former boss, Tony, made sure he was among the first to sample that inaugural brew when the very first cask hit the taps at local micro-pub the Cap and Collar. From the outside the building, you'd never guess what lies within, to the point I'd driven round the block twice before trusting google maps enough to park up and walk in. The building has an old brick front and a large shared entrance - wide enough to reverse a lorry or two into. Walking through into the main section of the ground floor and down past the newly installed cold room, a work-in-progress bar and the enclosed office space, I arrived at the brew house to the rear to find Emma preparing orders for delivery that afternoon and Ade racking the third gyle into some very colourful plastic casks. The brew house itself is bright and spacious, with a row of conical fermenters running perpendicular to the liquor tanks, mash tun and kettle. As Ade walked me round the building, we chatted about about many things, from the trials and tribulations of obtaining the conicals from China to some of the minor tweaks he's had to apply to the brew house to address niggles unearthed during the few first brews. Ade's home brewing blog Probably Due to Network Congestion documents well over 100 recipes, from the very simple to extreme craft! I've referred to this blog on many occasions when first attempting a new style or tweaking an existing recipe. In his own words, however, Wishbone's core range "is mostly made to have wide appeal without offending anyone’s tastes". That said, the beers I sampled at the brewery were all very flavoursome and, as you'd expect given their brewing pedigree, well made. My personal highlight was the 3.8% American Pale Ale, Bandit, which very much reminded me of Dark Star's Hop Head in flavour and aroma. I'm sure, in time, some of the recipes from those extensive home brewing archives will be put to use either as seasonal brews or as part of a future adjustment of the core range. In the mean time, their initial offering is certain to do well given the quality and diversity of styles covered. 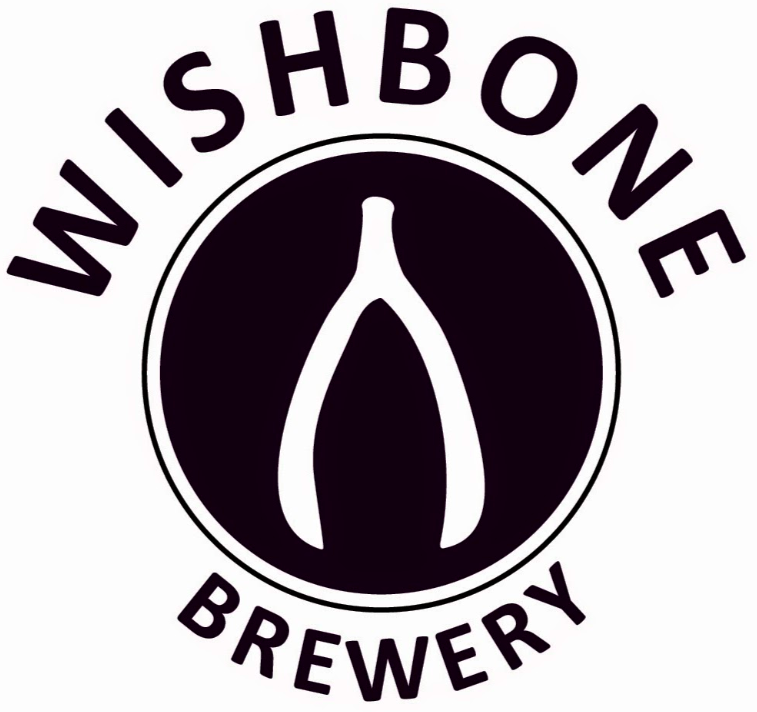 Wishbone will soon have a tap room onsite, initially on the ground floor next to the brew house before, perhaps, expanding upstairs to take advantage of the extensive space available. Being close to the train station and several large businesses, I suspect this might be a popular destination for post-work refreshment once open. As Ade showed me out, he told me the story of how his Dad used to have a small workshop in that very same large entrance area many years ago. 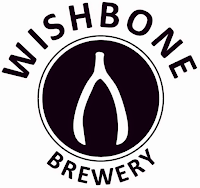 The family connection to the site helped cement the decision to take the ambitious project on and I'm sure that call will pay dividends as Wishbone continues to establish itself both locally and further afield.